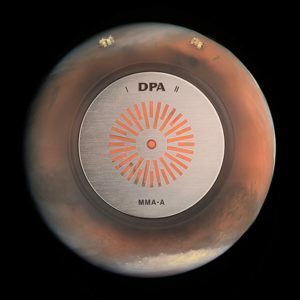 You are here: Home › NASA Use DPA Microphones to Capture Sound on Mars for the First Time Ever! In February 2021, NASA’s Mars 2020 Rover is scheduled to touch down on the Red Planet. The spacecraft will have the capability to capture imagery and sound as the Mars 2020 vehicle descends through the Martian atmosphere and lands on the surface of Mars. To capture sounds from the Red Planet for the first time ever, the Mars 2020 Rover will be outfitted with a selection of equipment from DPA Microphones. DPA’s d:dicate™ 4006 Omnidirectional Microphone will capture the high-quality audio while the MMA-A Digital Audio Interface will be used to record and send audio to a computer through its USB connection. Both mics will be paired with MMP-G Modular Active Cables, which act as ultra-transparent preamplifiers. The Mars 2020 spacecraft is currently being assembled at NASA’s Jet Propulsion Laboratory (JPL) in Pasadena, California and the DPA products will be installed onto the vehicle early 2019. The trip to Mars is expected to take seven months and will subject the Rover to extreme temperatures (environments could be -100 degrees Celsius/-148 degrees Fahrenheit), travel pressure both in and out of the atmosphere and intense vibrations associated with traveling in a rocket. The spacecraft design team has created a specialized enclosure to mount the MMA-A interface inside the rover chassis and in cooperation with JPL/NASA, the DPA R&D team created a custom MMP-G amplifier housing to bolt onto the exterior of the Rover. The microphone will allow the public as well as project engineers and scientists to hear sounds as the Rover descends to the surface of Mars. Capturing both audio and video of the spacecraft’s descent to the Martian surface will provide a new experience. After the Rover has landed safely on the surface of Mars, the Rover’s computer will gather the stored MMA-A audio data and the video imagery from the entry, decent and landing cameras to educate and entertain audiences everywhere. Although the audio and video data is not mission critical, it should prove to be very informative to engineers and scientists.